Roulette games. 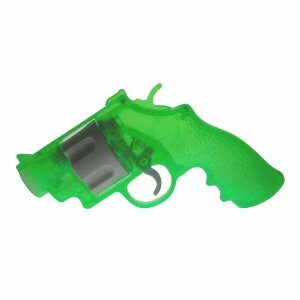 The beer bong may or may not shoot out beer when you pull a peg out, and the gun may or may not shoot a shot after you spin the barrel. 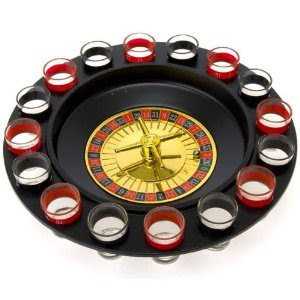 There's also the classic roulette with shot glasses. It's fun to take a chance. 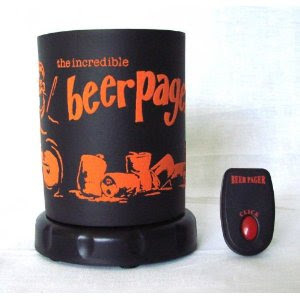 Beer pager. Everyone loses their drink... now it's easy to find it again. Shot-Checkers. 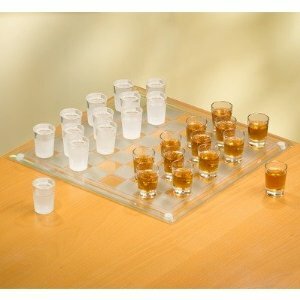 It's a game everyone knows how to play, and if you like to get drunk, it's a win-win. The Go-Plate. Never worry about carrying your drink and your food with a balancing act. 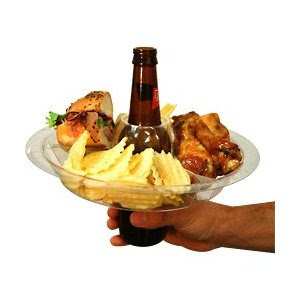 Drinks fit right in and hold the plate on top, and best of all- they're reusable and you get 42 in one pack! 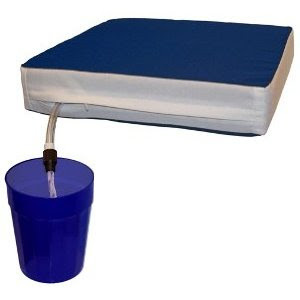 Seat cushion-flask. If this isn't genius, I don't know what is. 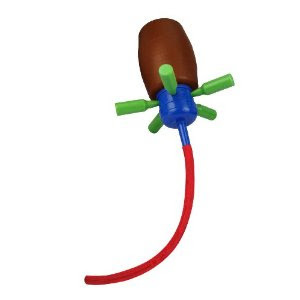 Every college student obviously needs this pronto. 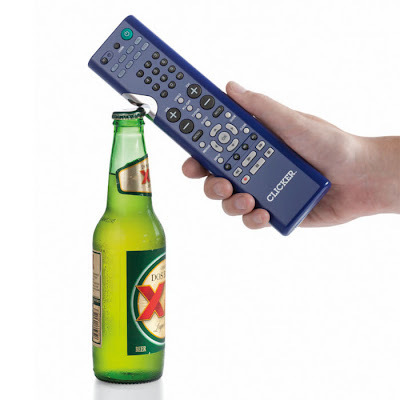 Remote control bottle opener. Now you really never have to get off the couch. Keep that beer fridge as an end table, have this remote, and you're good to go.